We are thrilled to announce that Paralympics New Zealand (PNZ) and iSPORT, today announced a joint project to drive public awareness and raise funds to help young disabled kiwis excel in sport. The announcement came as the sun rose in New Zealand on 3 December 2015, the international date marking UN Day for Persons with a Disability. iSPORT gives grants to teams and individuals in local communities, with a focus on core needs such as club fees, equipment, coaching and travel. . iSPORT and PNZ reached an agreement to work together after identifying that there were low applications from the disabled community . 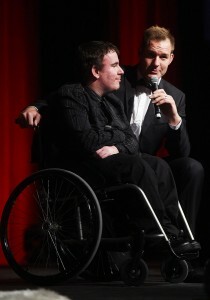 iSPORT hopes that with the Rio 2016 Paralympic Games only 278 days away, the increased media and public interest around the New Zealand Paralympic Team will inspire young disabled people to try Para-Sport and apply to iSPORT for support. PNZ hopes that increased participation will help talent spot Paralympians of the future, with PyeongChang 2018 just three years’ away and Tokyo 2020 Paralympic Games just five years’ away. 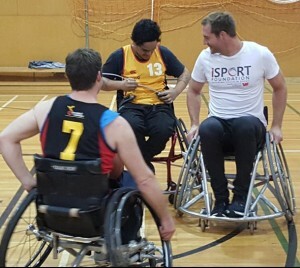 The idea for the project was first inspired when iSPORT founder Ali Williams met with young members of a local wheelchair basketball team earlier this year, after they were granted funding from iSPORT.